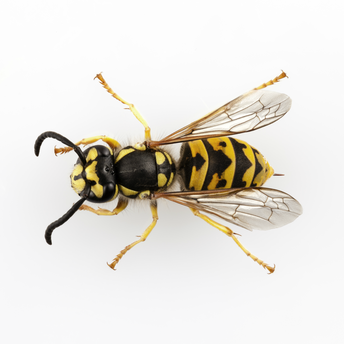 Are Bees and Wasps flying around your house or place of business? Don't wait to get stung! Call one of our Coeur D' Alene, Idaho pest professionals to come out and help exterminate these flying stingers! 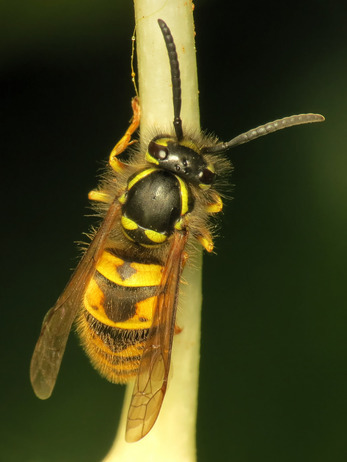 You can tell the difference between bees and wasps by a few key features: wasps are naturally more aggressive in nature then honey bees but don't forget that both of these pests are capable of giving you a painful sting. Honey bees will sting you one time and then die, but wasps can sting you mutiple times before finally dying. If you are sting be sure to administer proper first aid and if you are allergic seek out medical attention right away. Wasps are going to have a small waist and thorax and stomach, they will also have slim legs with little to no visible hair. Honey bees are going to be bigger and thicker all around and have visible hair on their body and legs. Wasps are found more in human inhabited areas because they are attracted to our food. Honey bees are found more in flowers gathering nectar to create honey. If you locate a hive, DO NOT try to knock it down yourself. Give us a call and let one of our Coeur D' Alene Control specialists handle the removal safely and effectively. The hive can contain hundreds of bees or wasps that could become aggressive if disturbed. Don't let your house or home become this guy's new hive!